Understanding The Fashion Industry- Where does Nigeria Stand? There are certain structures and sectors that make-up a fashion industry, and there are designers other than those involved in high fashion that cater to consumers. The fashion industry is divided into the creative and the sales function, that is, design and production on one side and sales and distribution on the other. In Nigeria the creative part is present but there are not enough platforms for the sales functions. As an emerging industry, Nigeria’s fashion industry should be a determining factor in our economy and for this to happen we need to clearly understand how it can work. The structure of the fashion industry is centered around the designers, as there will be no fashion industry without them. Everything else like models, modelling agencies, tailors, fashion photographers, fashion schools, , fashion retailers, fashion magazines are built around them.Fashion designers however make different categories of clothes, there are mainly three categories but it can be broken down into more parts, but the three main ones are Haute Couture, Prêt a Porter (ready- to -wear) and High Street fashion. Haute Couture is a term loosely used today, you can be walking on the street and see a store selling shoes and bags and it’s called Steven’s Couture. Haute Couture consists of custom-made clothes made from very expensive fabrics. It takes days to make one fabric and there is only one of it ever made for a particular person. Aristocrats and celebrities usually patronize Haute Couture and their price ranges from 25,000 dollars to millions of dollars. Haute Couture is also referred to as high fashion and they are definitely not everyday clothes unless you are a French Queen. In France Haute Couture is a protected term and can only be used by a handful designers so I’m sure you wont see Oga Chinedu’s house of Couture as you drive by. Some Couture houses are Giorgio Armani Prive’, Christian Dior, Alexander McQueen, Givenchcy, Christian Lacroix, emmanuel Ungaro and in Nigeria we have Deola Sagoe. Prêt a Porter also known as ready- to- wear are clothes, shoes and accessories that are not custom made. They are made by the designers to cater to every size and body-type. They aren’t mass-produced but you find at least 5 to 20 of the same outfit. Most Couture designers also produce ready- to- wear because it is more profitable; the clothes are then featured on the runway during fashion week. Ready- to -wear clothes are more versatile than Couture, and also not as pricey. Ready -to -wear fashion designers are Calvin Klein, Azzaro, Carolina Herrera, Celine, Chloe, and in Nigeria we have Jewel by Lisa and a host of others, as most designers tend to focus on offering ready-to-wear pieces. The High Street refers to the clothes that are mass-produced; they are usually made from lower quality fabrics and are very affordable. A lot of the designs are usually inspired by the Prêt a Porter collections showcased at Fashion Week and sometimes there are collaborations with designers, like the recent one with H&M and Lanvin. They are usually trendy and have suddenly being popularized by the media via blogs and TV. This style of fashion is responsible for the popularity of certain trends like jeggings and this season’s colour-block trend. Most high street fashion pieces are made in third world countries, hence the mass production and affordability . Labels that are popular for high street fashion are H&M, Zara, Primark, Forever 21, New Look and Gap. This sector is yet to develop in the Nigerian Fashion Industry. Another creative part of the industry are the fashion institutes such as fashion schools and tailoring outlets. This is where the fashion designers or potential ones enhance their design abilities and learn how to properly make a mark in the fashion industry. They also learn how to sew and work with models and other people in the creative world. Fashion designers aren’t the only ones that attend fashion schools; anyone with the intent of working in the fashion industry can attend. Fashion school grooms you for careers in fashion. Careers like wardrobe and fashion stylists and make-up artists. These are very important to fashion designers because they are the ones that make the designer’s vision become reality. Some of the fashion schools include Fashion Art and Creative Academy (House of Henri) in Nigeria, Istituto di Moda Burgo in Italy, Parsons the New School for design in New York amongst many others. Designers need a muse to represent their brand. They also need spokes people and faces that will help advertise their brand. And that is why the fashion industry won’t be complete without modeling agencies and models. Models are usually used for catalogues, runways, magazines, billboards and TV to advertise the designer’s creation. Modeling agencies are the ones responsible for scouting for models and we even have shows such as American Next Top Model that scout for models also. For a model to succeed, she is usually represented by a top modeling agency like FM model agency, Elite model management, Ford and in Nigeria Beth Modelling Agency. Some of these agencies have produced top models for decades, Naomi Campbell, Tyra banks, Gisele Bundchen, Iman, and Oluchi. Another aspect of the fashion industry is the media which consists of the fashion magazines, fashion bloggers, fashion journalists, fashion TV Stations, fashion books and the advertising agencies. They fill the gap between the fashion industry and the rest of the world. These are the people that translate and promote fashion. It is their responsibility to keep us updated on trends, upcoming designers, prices and give fashion advice. They give information about everything going on in fashion including sales and distribution. The most popular fashion magazines are Vogue, Elle, and in Nigeria we have Complete Fashion, and upcoming ones like WOW Magazine and Mania. Another sector of the industry is sales and distribution and this is is where retail outlets come in. Most designers usually have stores all over to sell their pieces and there are retail stores that are dedicated to some particular designers and their works, while others just stock different designers. These stores make it easy for consumers to have access to the designer’s work and also contribute to the economy by hiring people and paying taxes. In Nigeria you have Temple Muse and Leila Fowler who stock pieces by Nigerian designers. Currently in Nigeria, there exists a lot of untapped territory, we are yet to see proudly Nigerian High Street stores, and while some designers may be heading towards this direction, there is a need for the industry to create platforms in which they can survive and be profitable. However, there is the link that exists between the fashion industry and the larger economic environment. The fashion industries which we use as a benchmark, have certain structures in place, which we are yet to have. For one, stable electricity may forge the establishment of the High Street and mass-production. However, it is important to know where we are heading, which is to be regarded as one of the top fashion industries globally. This can be achieved if the government recognizes the potential in the fashion industry to accumulate large amounts of revenue. There is the need to implement certain systems to ensure it reaches its full potential by creating avenues for entrepreneurial activities within the different sectors. What Will Celebrity Brides – Mercy Johnson & Stephanie Okereke Wear on Their Big Day? You Predict! Very good article but I seriously doubt having a high street in Nigeria would work!! Boutiques that stock high street brands like H&M, Topshop, River island, New Look, Zara etc in Nigeria have a hard time because of the whole fast fashion issue and mass production issue!! Customers refuse to buy items from Primark for the same reasons stated above too!! That’s why we need a home-grown high street that caters specifically to us and stocks clothes we can afford. And Primark ain’t complaining though their clothes are crap – they are catering to a certain segment of the market and smiling to teh bank while at it. high street fashion will be a welcome development in Naija, cos 2 b honest, our designers are killing majority of us with high pricing. clothing companies that will invest and concentrate on high-street fashion like forever21,etc, are needed, cos they’ll widen the industry, while making a killing as more Nigerians are becoming more fashion conscious (of course the government has 2 help by providing constant power). Designers should become more accessible 2 all sides of the media, not just d big names. these expansion will also create jobs for more ppl in d country, so it’ll be good. I really like your comment on the article, my thoughts exactly. OMfG!!!! I was just saying to myself today bout Nigeria’s lack of a ‘High Street’!!! I swear she read my mind! Very lovely and enlightening read. I am so happy that the nigerian fashion industry is opening up. The truth is that nigerian women are very stylish and our designers are very creative so when they come together magic happens. However I feel the industry (entertainment and creative industry) should be properly organised with the right structures put on ground by both the government and stakeholders involved for the sector to thrive so it will not end up being a ‘has been’. My fantasy is to see the works of nigerian designers proudly showcased through our music videos and movies. Would be nice to see their clothes worn artistically and creatively by our artists like what we saw in the movie ‘Devil wears Prada’ or beyonce’s ‘who run the world (girls)’. 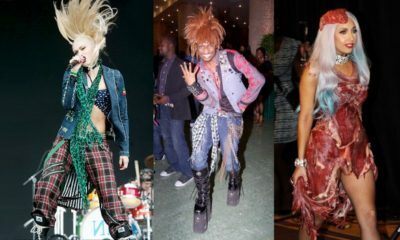 So many unknown designers have gained instant prominence and the already established ones had some of their pieces become very popular…… Lady Gaga and the late Alexander Mcqueen (the shoes) in ‘bad romance’. Even though I know some creations will definitely be expensive (because of the quality of raw materials and skill used) I personally feel that we need affordable clothes by Nigerian designers so that any sisi and bobo can proudly rock some of their pieces without breaking the bank. Some designers like Armani are aware of this fact that is why he has Armani Xchange (which is quite affordable). Even Jessica Simpson is aware of this fact. Despite the affordability of her pieces (clothes, shoes e.t.c) she is still making a lot of money, building a multi billion dollar empire in the process. I am Pretty much interested in the Fashion Media aspect; hopefully other media persons and enthusiasts can identify with you when you pointed out the many opportunities that abound, because their are a lot of uncharted fields in the fashion industry, unfortunately our fashion industry is not diversified and focuses more on a particular class of citizens. Nigerians are becoming increasingly fashion conscious and that a good thing.people will look better and their will be more money to be made. Lovely article,very articulate .There is an up and coming high street brand called esosa got some items n it was fab and well tailored but I think they only retail online. Zainab, thanks for this lovely piece, infact I implore you to send this out to every wannabe calling themselves creative directors apart from the the top . This is exactly what I have been hammering on to others, HAUTE COUTURE is a totally diff ball game. Obviously you are exposed that is why you can see the other side of the coin. Some people are suppose to have the title sewing mistress and not creative director, some of them I believe go on jbl’s page to copy her title without knowing the essensce of what they are on about. That is why even when Fashion TV comes to naija, they only come for entertainment, they dont take them seriously because they know what it is to be a Creative Director, remember they have Dior, Prada, YSL with them, some of these our so called designers feature in one show and they go gaga on their facebook page as if they are now Tom Ford. Pls every aspiring, upcoming designer needs to read this piece and put their work in perspective. That is why we have JBL, LDA, Tiffany Amber and Deola Sagoe at the top end because they know what it involves and takes and then you have the rest looking at them. Pls EVERY SEWING MISTRESS, TAILOR should pls read this piece, the fact that you have a website doesnt mean you are there yet, there is a lot to be made in this industry and its just the scratch of the surface we are experiencing until we are ready to take on the full potential. another of my 3kobo this time. How weird, i had this conversation with someone earlier, as a 5ft10 long legged lass i would love to have my clothes made at affordable prices. I was in naij earlier this year, visited some stores at the palms and some very unpractical garments, not great fabric , were ridiculously overpriced! I almost passed out. Nigerian high street…. will happen when we charge real price for garments. i will gladly go to my seamstress otherwise and or H&M where i belong. Nigeria still has a long way to go as even this article focuses on Fashion in Lagos. So many trends have been in vogue in other parts of Nigeria before Lagos catches up and they suddenly believe they started it though I know the media that circulates it in Lagos which is still missing in other parts. Also I noted from the definition of couture here so many Nigerians wear Haute Couture as they readily design and have their tailors make these outfits to to their exact body shape and so many designs are very origin. @ mary007, when u ve your clothes made to measure by a seamstress or tailor its not haute couture but rather bespoke ,its about time people stop using haute couture anyhow. Nigerian high street stores will only happen when we can mass produce, all the big Italian designers all mass produce in china. and the ones made in Italy are the pricier ones. Best and most informative article I have read so far on the African FI. Well done!! Nice article… well written and presented. I believe High Street fashion can work in Nigeria and in any part of the world. If mass supermarket can work.. ?? What else cannot?? Nothing is Impossible. As economy and its value rises or increases, markets are created that will define the attitudes and habits of consumers. For instance, the growth in obesity has created a huge increase in sports and recreational centers in most part of the World to encourage healthy living, including diet company’s and specialist dietitians and they are making massive money in that market too… TESCO should Niaj mehn.. lol. However, as the author recognizes, certain things have to be in place. I know that high job employment and better pay conditions can facilitate the growth of high streets in Nigeria as people can easily pop into shops and buy varieties of clothes without having to wait for one Uncle or Aunty in abroad to send them the clothes. But then again, rival of High Street stores can see a number of small shops struggle financially to cater for the usual mass market. E..g shops in lagos might suffer financial and customer loss and become a niche instead catering for people that are yet to tap into the modern world of shopping experience or retail therapy. I think the Governments will play a major impact as highlighted in the article. The believe they have in the fashion industry can drive tremendous growth, by lowering the taxes to make the industry attractive to potential investors. Low barriers to entry will increase buyers to come and invest and build the economy. In addition, there can be a high supplier power too with different materials available for cheaper prices, it can be cost effective. Buyers power will vary depending on the their income and niche in the market. All in all, new industry are usually attractive when everything is done rightly and there is market to serve who wants and demands the products. I have just applied abit of theory called Porter Five Forces which can be used to evaluate the market, predict trends, acquire an edge and stay competitive amongst rivals. Finally, more that needs to be understood, understanding the retail market and how it works will make a huge difference. Obviously it will vary for different countries because of our needs, culture, and backgrounds.. More research and study should be done first to be able to create what Nigerian consumers are actually need and will remain needed for years and years. 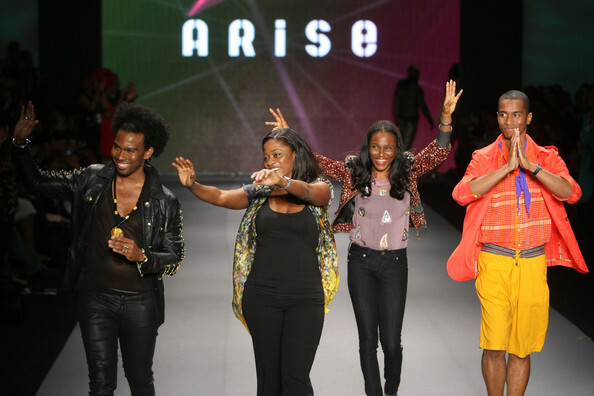 Nigerian fashion is on the rise and becoming very popular, cant wait to see where it goes! really interesting and educative article, very well-written too! Great read. Very informative, thanks. I am a big fan on Nigerian dressing and culture I am from India i opened my Raw Silk Store in Deira (Dubai) i have got awesome collection of Raw silk stuff which fashion lovers will love ….. Very well written Zainab, in Abuja we have all soughts of cut & sew tailors calling themselves haute couture & when you try to correct them, you’re labelled a hater. Right now ankara seems to be the “in thing” as far as fabric is concerned & everyone is making clothes, accessories etc with it, en masse & tagging it haute couture. well written Zainab,finally a person that understands how the fashion industry should work.but i feel the need to add the high cost of rent in commercial areas and the fact that landlords increase rent every year,diesel is being sold at the rate of 170N compared to 85N it was being sold as at december of 2010.
exists cost so much money. until certain things are in place,bread,milk ,milo even the locally produced garri,bills to pay okpogu! haute couture ,bespoke and mass market. people need to understand that if youwant something different then you will need to pay more for it.There is a market for everyone especially in Lagos.you cant expect to buy a dress for 12k and think only you should and a few orders should own it,the truth is that 12k may seem like a lot of money but the naira is of not much value and everything used in production are imported including half of the tailors we work with. Hi, I love your comment and I feel we can work together on a project I am currently working on. You can call me on 08091802999 if you are interested. Very Educative and Informative post. wow !! thank you so much for giving out his kind of information, his can be very useful for a startups !!! A very insightful piece i must confess.Indeed,we need a high street fashion in Nigeria,but that will only be a mirage if certain things are not put in place.Generally,the fashion industry in Nigeria is suffering major setbacks.We ought to have surpass our present level years ago,but we’re where we are because we have limitations.Nigerian designs cost so much because their cost of production is very high.Getting a good location for your outlet is very expensive,gettin good materials to use for your designs,very expensive,getting power to work with,very ecpensive,showcasing your designs,very expensive…pretty much everything that concerns Nigerian fashion is high,and the people who are in it are in it to make money,yet they don’t make nearly enough in most cases.I believe those in the fashion Industry need to give investors reasons to invest.Personally,i know the industry will soon be as flourishing as the music industry.The government should also be respinsible to make the environment condusive for businesses. Am happy i got this article, is going to help me a lot in writing my project, Am writing a project on fashion industry and it contribution to the Nigerian economy. Whatsapp 07032166449, 08075452886 or send us an email at [email protected]….. This is such an innovative, informative and detailed article and it is duly appreciated. No-one can underestimate the importance of fashion designers because like it was mentioned in this article, the fashion industry revolves around them. Nigeria stand a good chance at booming in the Fashion industry in coming years, all thanks to Nigerian fashion retailers who are likewise important in the Fashion industry. 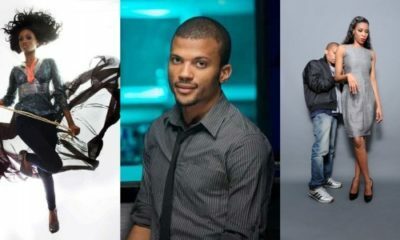 Efforts are being made by these retailers to bring Nigeria to a limelight in the fashion world. An example of such retailer is Olatorera Oniru, the founder of Dressmeoutlet.com who is currently leading initiatives to realize a pinnacle in Africa’s history whereby we would rely less on importation and innovate more with natural resources and citizenry capabilities..I believe that with more hands on deck, Nigeria is definitely heading to the front row of the fashion industry.